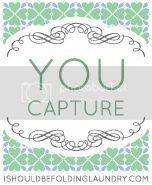 I love the idea of capturing a few photos first thing in the morning, so the theme for You Capture this week was just perfect for me. Plus, I started my365 project last week so getting the daily photo done early in the day is a bonus. I took this first photo before I even got out of bed on Tuesday. I just grabbed my iPhone and took this self-portrait of me and my Willow-dog. Willow has a big dog bed that is on the floor next to my side of the bed. She sleeps there faithfully every single night. Each morning when she hears me stir, she sits up right next to me and lets me scratch her head and give her a big good-morning doggie hug. It's the best! Next, we get up and go for her morning walk. The Hub usually does the morning walk, but since he was away the other day it was my turn. 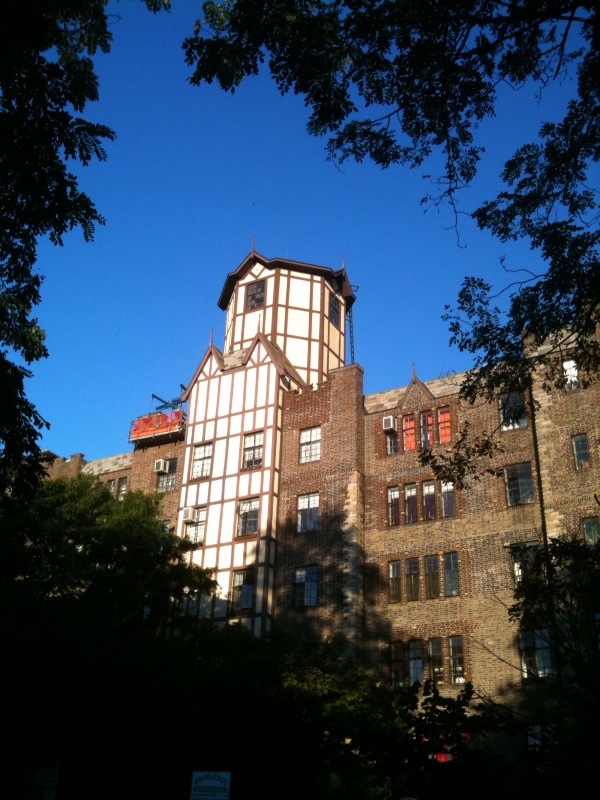 I love how the sunlight hits this small tower on the top of my apartment building. We live on the highest natural point in Manhattan (really, there is a plaque across the street declaring this fact), so while the rest of the neighborhood is still in the shade at 7am, the early morning sun illuminates this part of our building so beautifully. On Monday morning on my way to an early meeting downtown I remembered to snap a quick shot of this illuminated subway sign. It looks pretty old and beat up, but it still has this long skinny light bulb on the inside that lights it up--I always notice this sign and have been meaning to take a picture of it for a while. It is still pretty dark on this side of the street so you can really see the light from the sign. Oh, and don't forget to see the other illuminating photographs shared as part of this week's Sunday Creative. I really love the lit up Subway sign photo. The colors and details are great. Great post....I too have a dog who does the same thing. It's all about the morning scratches. Great shot of the subway sign. Love it. I've been trying to get my 365 photo done early but ran into a snafu kind of day on Tuesday. Its much easier to stay with the a.m. pix. Ooh puppy! My puppy is a big part of my mornings too. Ummm... did I say how much I LOVE it???? LOL! Nice photos, really like them a lot. I love that picture of the subway sign! I'm impressed with your ability to take a cute photo before even getting out of bed. Every time I pop by you turn me on to a new iphone app - going to check out Pictureshow now. There's nothing like wet dog nose in the morning! aw, what a cute shot for morning! Every time I see your dog I get sad and miss my old dog, Hawk, a German Shepard...he died a few years ago :( I miss him. Anyhow, great shots! I really like that shot of the subway sign. I wonder how long that's been there? Lovely photos and I adore your big beautiful dog. I have a much loved hound too. So cute to wake up to a pooch! Love the photos. I love the subway shot & your dog :) The subway shot makes me feel like I'm being taken to a different place & time. 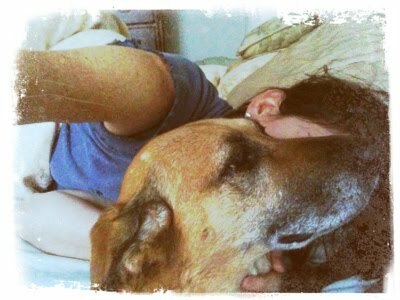 I really like the effect that you did on the pic of you and your dog. And the sky in the second pic is just beautiful! Lovely images! I really like the subway one. I love iPhoneography and have several apps that I just love. I will have to check out Picture Show. Great shots! NYC is one of my favorite places on earth! I've visited a few times and that subway sign brings back all the great memories! Thanks for sharing and thanks for visiting my blog! Love the subway sign! So grungy and raw. I love your morning shots - especially your self portrait. Have a great weekend. I love that Subway sign. And sweet Willow. Beautiful. I love the Subway sign. I also love the grittyness (is that a word?) of the self portrait. aw your pictures are priceless. 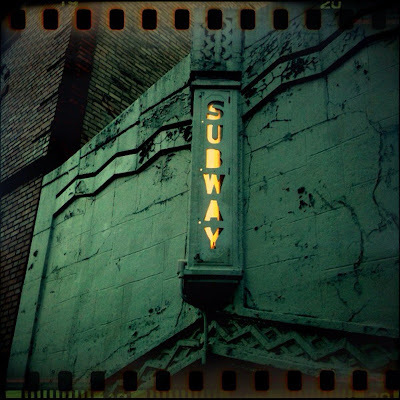 I love the old subway sign!